SNOWDEN-MCCRAY: Why Baltimore. Baltimore, I know from working here … I’m not from Baltimore, I’m from Annapolis, which is pretty close, but when you come to the city you have to either have that pedigree or you have to make your intentions very, very clear soon or else everybody’s looking at you like who’s this guy and what are you doing? You guys focus on Baltimore news, but you also focus both like in the nation and then also internationally. What made you want to come and establish your studios here? PAUL JAY: Well, we began in Toronto. I used to produce a television show on CBC, a debate show. We always wanted this Real News to be a North American project, not just in Canada and we started doing more American news, realized we had to be down here. The project kind of started doing, started producing in 2007, realized we needed to be in the US if we’re going to have an effect here. Moved down here around 2009, we’re in Washington. Then, as the more we did, we started realizing that we’re, first of all, talking to the same stratum of people that all the other online independent type news organizations are talking to, which is like this news junkies, very politicized people, but we weren’t really reaching into larger sections of ordinary people, working people and it started to become clear it was like throwing tiny, homeopathic amounts of stuff into this ocean of information. PAUL JAY: Whereas, working people on the whole, ordinary people on the whole, of course, I’m talking certainly there’s a percentage of working people that are as plugged in to news culture as anyone else is, but a lot of people operate based on direct experience. Their direct experience is the city and their political horizon is mostly the city. National politics gets somewhere abstract. Sometimes people focus on a Trump or a presidential election campaign. Excuse me. International politics is practically off the radar unless you’re like a military family or maybe you’re an immigrant family and you’re like only one or two generations away from where you came, so maybe you pay attention to news from whether it’s Africa or India or Caribbean or whatever, but generally most people, it’s about their city. We realize if we’re going to break through to an audience of ordinary people, we better get to a city. It started becoming clearer that The Real News Network, if we’re really going to build this nationally to have an important impact, it’s going to be city by city and so, we wanted to pick a city to start. PAUL JAY: We had done a survey in 2005. We had bought a, on the Zogby polling we had bought a question on what they call their omnibus poll. We asked people if they would donate to a news network that didn’t take government funding, corporate funding. Didn’t sell advertising. It was really interesting. The group, about 49% of people said they would donate $5 or $10 a month. You can be likely or very likely. PAUL JAY: The group most represented in very likely, African American. The group most represented in likely and very likely, you put those two together, Latino American, which afterwards made perfect sense. The people most disenfranchised for news said they would donate. So, started getting our heads around this idea about where we might break through. Then, we decided, well maybe it makes sense to go to a city that’s majority black and who’s more disenfranchised than a black population in a city surrounded by a relatively well-to-do white population. You have that here. Detroit was the other place we looked at and Baltimore, you have like 620,000 people in Baltimore. Median income is about $40,000. You have 820,000 or so in the county. Baltimore is 65% black. The county is essentially 65% white. Median income in the county, $66,000. Poverty in the city, officially 24-25%, in the county under 6-7%, so if you’re an advertising model, corporate TV news, who you doing news for? PAUL JAY: Well, you’re doing it for the county. PAUL JAY: Or, you’re doing it for that 40% of well-to-to Baltimore, which is not exclusively white, but certainly majority white. PAUL JAY: Our theory is if we do news that’s really relevant because we don’t sell advertising, really relevant to the majority of the people of the city, they’ll start to donate $5 or $10 a month and we can start creating a sustainable model here. Our prime objective isn’t to create a sustainable model. We’re doing that in order because we want change. PAUL JAY: We think change comes from the people who need it the most. SNOWDEN-MCCRAY: Along those lines, how do you make international news relevant to black people in Baltimore and vice versa, how do you make the stories of black people in Baltimore relevant to people who aren’t here? PAUL JAY: That’s a good question. Well, I’m not sure we have the answers to any of that, yet. PAUL JAY: I can tell you what we’re trying and where we think we’re going, but I don’t think we’ve proven yet that we can do either of those things. This is part of what we’re trying to do, but it’s not our number one priority. PAUL JAY: Like, making the stories of people of Baltimore relevant to people who aren’t in Baltimore is a second priority. We want to do it, but our most important priority is make them relevant to the people in Baltimore. We do international news, we do national, we have more resources doing international and national than Baltimore right now, although it’s almost equal, and we’re going to keep doing that. The second question’s kind of more interesting in a sense, although people watch The Wire. PAUL JAY: … and the issues of policing, for example, are everywhere in country. 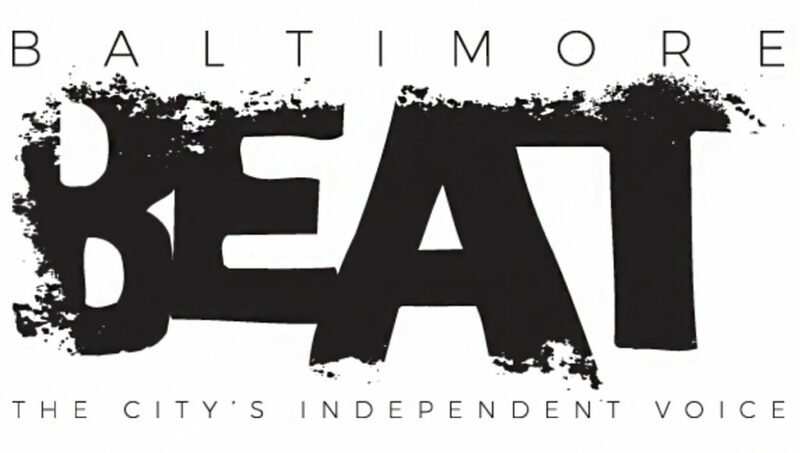 So, it’s not that hard that if we do a good job covering Baltimore for people of Baltimore, I think other people are going to find it interesting. PAUL JAY: If they don’t, they can watch the international news. PAUL JAY: How do we make international news interesting to people in Baltimore, especially working families? Well, there’s no such thing as just this nebulous audience. You’ve got to segment it. PAUL JAY: I would guess 10-15-20% of working families, especially adults, they are interested. They’re already somewhat politicized, so they care about foreign policy. It may not be their number one priority, but they find it of interest and they follow it. The underlying issue for us, and this for us, making foreign policy relevant to the people of Baltimore isn’t as big a problem, we think, as making climate change relevant because that seems even more abstract in some ways and is the existential threat of our time. PAUL JAY: Our theory is and it relates to international news, too, because it gives, again, international news for people who aren’t really plugged in to the history seems confusing. Like, who the hell know, you know, if you don’t know the history, how do you understand Syria, how do you understand the Middle East, how do you [crosstalk] all the issues with Saudi Arabia, and so on? I’ve compared it sometimes to me watching a cricket game. I mean, I don’t know the players, I don’t know the rules, I don’t know the back story. I can’t watch cricket for 24 seconds without tuning out, but I can watch basketball and hockey and so on because I know it. I think the most important thing we have to do is we have to be able to speak to people’s immediate concerns. Things they know about. PAUL JAY: Schools and unemployment and policing and the quality of the air they breathe and, you know, the healthcare. That’s stuff people relate to. If they find they can start trusting us on those issues, I think they’re going to start listening to us on this stuff, on the foreign policy side and on the climate side, but first we’re going to have to kind of prove ourselves that what we talk about, that people do know about, is consistent with their own experience and number two, it isn’t just all here’s what’s wrong, as I said before. PAUL JAY: You know, we’re also talking about solutions.